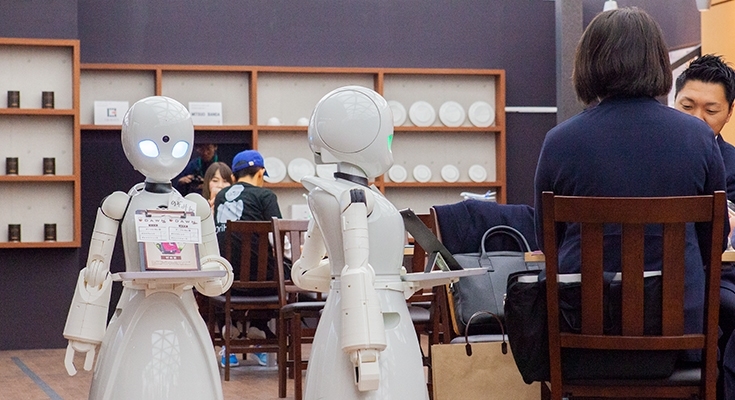 If it is said that the robot waiters are calmer than human service waiters and waitresses with less service spirit, it leads to destructive innovation in the cafe industry. If we can lower the price of coffee and tea as much as the cost of labor costs floats than existing cafe chain store, existing stores may disappear. Copyright © 2019 Osaka World Expo in 2025、RPA,　IoT、AI、blockchainAll Rights Reserved.